The life and love story of a bestselling author Abhimanyu and an aspiring singer Bindu. One line Review: The intriguing story of Abhi and Bindu grows on you as the narration proceeds. Positive Points: It is a delight to see Parineeti Chopra back on the big screen. 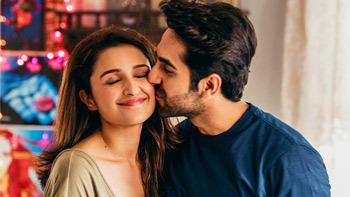 Ayushman Khurana and Parineeti’s chemistry is on point. The narration is involving, leaves you wanting for more. The editing is perfect as it manages the length of the film well. Negative Points: There are a few cliched bits and the friend zone aspect is overblown. There are moments where all the logic just fails to exist. A film’s success depends on the release date, believes Ayushmann Khurrana!